In the latest entry of the “How Valuable Is…” series, let’s take a look at Travis Wood. A 23 year-old lefthander, Wood emerged on the scene last year and pitched brilliantly right out of the box. For the season, he was 5-4 with a 3.51 ERA, and he joined fellow rookie Mike Leake in displaying an uncommon poise and maturity for a rookie pitcher. In all, Wood was a 2.2 WAR player in just half a season. Pretty impressive debut for the former second round pick from the 20005 amateur draft. As we all know, the candidates for the Cincinnati starting rotation are numerous and talented. Where does Wood fit in? Let’s hear what you think, Nation. How valuable is Travis Wood? Wood averaged approximately .0215 WAR/IP in 2010. Extrapolated out to a 185 IP season, Wood would accumulate 3.9 WAR. Considering that Wood won’t perform consistently over the course of 185 IP in 2011 as he did over the course of 102 IP in 2010, let’s hypothetically say Wood will be worth around 3.5 WAR in 2011. 3.5 WAR pitchers from 2010 include Johan Santana, Ryan Dempster and Shaun Marcum. If you want to keep him at 3.9 WAR, pitchers at that level included Mat Latos, Ricky Romero and Matt Cain. Safe to say that Wood is pretty valuable considering that he is our only LHP contending for the starting rotation and is only 23. This is going to be an interesting spring training. Management is going to have a difficult decision to make on the starting rotation to start the season. It will probably come down to Leake or Wood just like it did last year. I’ve got some serious love for Wood. I was really impressed by his ability to throw strikes, as well as his left-handedness. It seemed he was the only young pitcher in the Red’s rotation that threw strikes consistently. I think he has high upside, and is a lock for the rotation through 2011. I’m looking forward to what he will do through 200 innings instead of 100. Will he be a rookie next year? Or was this his rookie year technically? @RiverCity Redleg: Even given that he is the only Red lefty? Wood outpitched Leake last year, for sure. I would say the one to get bumped from the rotation for Leake would be Bailey. The sad part is that Wood was worth .5 WAR more than Arroyo last year in less than half the innings. I have seen Wood pitch at 3 levels and I love his make-up, his mechanics, and his command! He is obviously a trade chip, but he is one arm I would not deal even though many critics do not like his size. 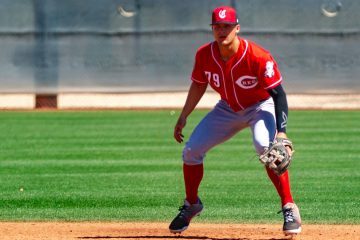 I also think that if Baily does not work out as a starter, I really think that he has the mentality to be the closer of the future for the Reds when Codero contract is up after this year. @lookatthathat: I don’t neccesarily agree with it, but my gut tells me that it will be between Leake and Wood. I love the way Wood pitched last year, especially down the stretch, but he is the least “heralded” of the group and I bet he will have to continue to prove himself to remain in the rotation, since there is such a logjam right now. If he continues to pitch like he did for most of last year, he’ll be in Cincinnati, but for one second I don’t believe he is “locked” in. I think unless Travis Wood has a really bad spring, he will end up in the starting rotation. The guy was about the Reds best starter down the strech and he is the lone lefty, which is something the Reds need to have. Does anyone know where Homer Bailey is at with his options? I’d think as much time he has been on the big league roster and how many times he has been up and down, he could be running low on options. I don’t know how those rules work. I think unless he totally trashes it in spring training, I’d figure he will be in the rotation. I’m thinking Leake might be the guy the Reds look at to start the year in Louisville, unless one of the starters isn’t ready to go. I’d imagine they would want to only have his innings go up another 30-40 again. I’d say Volquez, Cueto and Arroyo are locks on the staff barring injury or some serious trouble. Does anyone know where Homer Bailey is at with his options? IÃ¢â‚¬â„¢d think as much time he has been on the big league roster and how many times he has been up and down, he could be running low on options. I donÃ¢â‚¬â„¢t know how those rules work. I think unless he totally trashes it in spring training, IÃ¢â‚¬â„¢d figure he will be in the rotation.IÃ¢â‚¬â„¢m thinking Leake might be the guy the Reds look at to start the year in Louisville, unless one of the starters isnÃ¢â‚¬â„¢t ready to go. IÃ¢â‚¬â„¢d imagine they would want to only have his innings go up another 30-40 again.IÃ¢â‚¬â„¢d say Volquez, Cueto and Arroyo are locks on the staff barring injury or some serious trouble. Homer is out of options. I don’t really know how they work but I do know that he doesn’t have anymore. I would assume that he is in the rotation. 3.9 WAR for a healthy 23 year old lefty at min salary under control for years and is able to shut down the Phillies multiple times–how much more valuable does it get than that? For those speculating on the rotation, I put Leake as the odd man out (Arroyo, Volquez, Cueto, Wood, Bailey) in a very very strong rotation–at least until someone gets hurt. This is why the Reds don’t mind putting Chapman in the pen (probably stunting his growth). “at least until someone gets hurt.” That is the million dollar phrase right there, isn’t it? Wood is one of the most valuable pieces of our rotation and will be right in the middle of it. Any word on how any of our guys are doing in winter ball, besides Fransisco, that is, ouch? Both Wood and Leake had low ERAs last year compared to what you’d expect given their BB, SO, H/IP, HR/IP, etc. Both should have worse years, but I like Wood more. I expect Bailey to supplant Leake in the rotation. 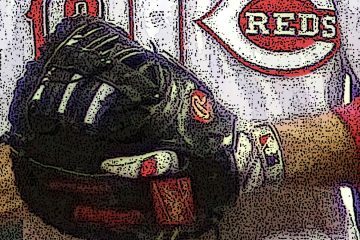 @Cincinnati Dave: ERAs are on the verge of being meaningless. Wood’s ERA was 3.51, and he had a 4.17 xFIP. Leake posted a 4.23 ERA with a 4.31 xFIP. Their ERAs were not substantially lower than what they should have been.